1. Learn Everything You Can – One of the best ways to avoid a stock market crash is to have as much knowledge as possible. The more you know the easier it may be for you to spot any signs of a problem before the market crashes. 2. Leave Your Emotion Outside The Market – Understanding the stock market means understanding that your emotions should never interfere with your investing decisions. While much of the market is propelled by fear, greed, and other emotions, a successful investor ignores emotions. 3. Set Risk Levels And Follow Them – Risk levels can help you avoid a stock market crash. These levels determine your acceptable risks, and provide buy and sell criteria that can help you avoid large losses. 4. Have An Exit Strategy In Place – In the stock market timing can be crucial. Make sure you have an exit strategy in case the market starts to slide downward, before your losses are substantial. 5. Diversify Your Portfolio – A diverse portfolio is one that has far fewer risks. Diversity limits risk because when one sector of the market is down another is usually up, balancing each other out. These portfolios will usually see small gains even when certain holdings have dropped. 6. 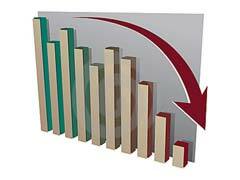 Invest For The Long Term – Long term investments can help you avoid a stock market crash at times. These investments are usually less volatile, and not as subject to current market fluctuations. 7. Stick With Your Strategy – When you are playing the stock market you should always stick with the strategies you have chosen after careful evaluation. This will normally give you the best results, regardless of market conditions. 8. Only Choose Quality Stocks – If a stock is high quality then it may lose some value in a stock market crash, but it will probably go back up once the market stabilizes again. This is not always true, but happens far more frequently with high quality stocks than it does with lower quality options. 9. Do Your Own Research – Whether you are looking at the Dow Jones stock market data, the S&P 500, or another financial information provider it is important that you research any possible stock before investing. 10. Never Invest On A Hot Tip – To avoid a stock market crash never make an investment based on an inside or hot tip. Some scams are used with this method that can cause you significant losses. Instead use market indicators as a guide of what is occurring in the market.